Michael 'Richard' Simmons is an exercise and fitness guru. He is also an actor, comedian and TV and Youtube star. Richard is unique and perhaps, eccentric. His flamboyant style and sincere caring endeared him to his audiences. During his childhood, Richard suffered from asthma and was obese. At his high school graduation, Richard weighed in at 268 pounds. 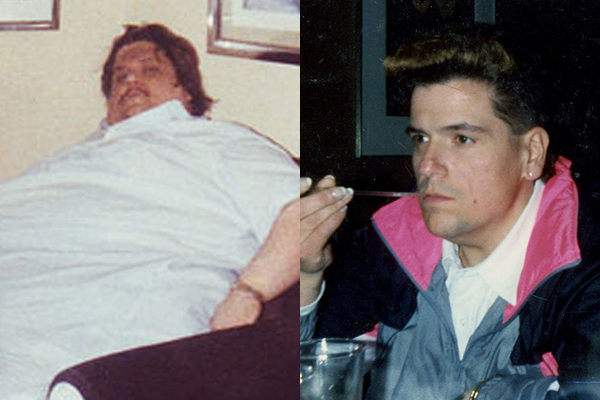 In the early 70's, Richard (born in 1948) decided to lose weight. 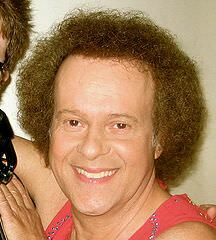 Richard Simmons, probably best known for his' Sweatin' to the Oldies"
When Richard decided to lose weight, he did not readily and easily lose weight. He was unhappy with the failed diets that he had tried and equally unhappy with the gyms of the day. He felt that the gyms catered to people that were already fit and provided little for the beginner. His desire to lose weight triumphed, he was able to shed 123 pounds. His experience, along with his disappointment in so many diets and exercise gyms led to his opening his own exercise studio. Richard based his weight loss training on healthy eating, enjoyable exercise and support. Richard embraced over weight customers and helped them lose weight. Richard has succeeded in keeping the weight off for almost 50 years. For 35 of those years he has helped people lose approximately 12 MILLION pounds! One of his students, Michael Hebranko lost over 900 pounds in 19 months. Michael credited Richard's help, Richard's workout tapes, and swimming and water aerobics for his weight loss. Richard is truly dedicated to helping others lose weight and still has many avid and supportive fans. Richard Simmons is an amazing person. His career in weight loss is only one of his accomplishments. His many roles on TV are also impressive. From appearances on game shows such as Battlestars; Body Language; Super Password; Win, Lose or Draw; the ABC version of Match Game; the syndicated version of Hollywood Squares; and Nickelodeon's Figure It Out. to playing himself for four years on general Hospital. He also played himself on Whose Line Is It Anyway?, CHIPS, Saturday Night Live, The Larry Sanders Show, and on an episode of Arrested Development titled "Bringing Up Buster." These TV appearances are just the tip of the iceberg. Click Here to visit wikipedia for more information. For the last three years, Richard has dropped out of public sight. Some strange rumors arose as to Richard's disappearance, such as being kidnapped and held hostage.. Fortunately, these rumors are not true. In March of this year, Richard has re-appeared and put these rumors to rest. 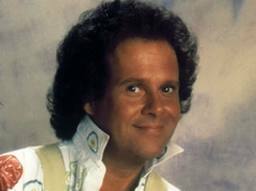 Richard Simmons is an amazing person. His career in weight loss is only one of his accomplishments. His many roles on TV is also impressive. From appearances on game shows such as Battlestars; Body Language; Super Password; Win, Lose or Draw; the ABC version of Match Game; the syndicated version of Hollywood Squares; and Nickelodeon's Figure It Out to playing himself for four years on General Hospital. He also played himself on Whose Line Is It Anyway?, CHIPS, Saturday Night Live, The Larry Sanders Show, and on an episode of Arrested Development titled "Bringing Up Buster." In March 2017, the police visited Simmons' home to conduct a welfare check. The result was a statement that Richard Simmons is "perfectly fine" and "right now he is doing what he wants to do and it is his business." On April 19, 2017, Richard required hospitalization for severe indigestion. He commented on Facebook "I'm not 'missing', just a little under the weather". Why did Richard disappear for three years, even to his closest friends? Why has he become a recluse? He says that he will be coming back with a bang. I hope he does. I believe that I speak for most of us in saying. "Richard Simmons, we wish you well and thank you for your contributions to helping others lose weight." Thank you for reading, my friends, much success with losing weight. Richard Simmons is a true and sincere weight loss advocate. His dedication and caring for others and his desire to really help others to lose weight has always been an obvious part of his style. 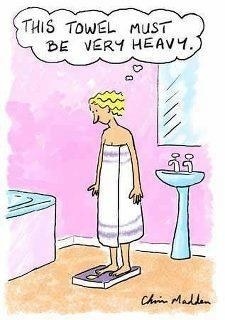 Richard cares so much about all of his weight loss clients that his feelings have a real impact. Richard treats people as sincere friends that he truly cares about and his desire for their success is so strong it helps to motivate and inspire everyone. Richard couples this caring with his unique and electric personality and the results have been a long history of helping others to lose weight.